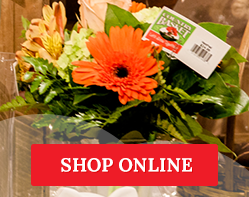 Every Friday from 3:30pm to close, all ready-made European hand-tied flower bouquets are 50% off the regular price! There’s no better way to end the work week than with Happy Hour! Perhaps you are visiting friends this weekend... a bouquet of flowers would be a wonderful hostess gift and will typically last longer than a bottle of wine! Maybe you need a little help getting out of the 'doghouse'... fresh flowers will soften anyone’s heart! 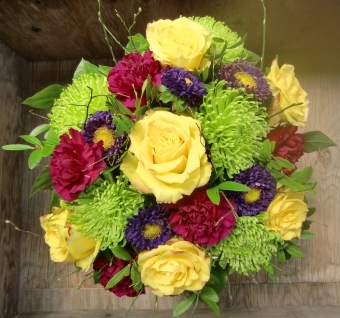 Sometimes you need a pick-me-up... why not buy a bouquet for yourself? Whatever the reason, we’d love to see you on Friday for Happy Hour! When it is holiday season, we want everyone to be able to enjoy Happy Hour. For that reason, customers are limited to 1 Happy Hour bouquet per person. Thank you for understanding!